Thank you for attending FIE 2016, we hope you enjoyed it! Please click here to view photos from the conference. The 46th Annual Frontiers in Education (FIE) Conference is a major international conference focusing on educational innovations and research in engineering and computing education. We welcome submissions related to educational issues in electrical and computer engineering, energy engineering, software engineering, computing and informatics, engineering design, and in other engineering disciplines. 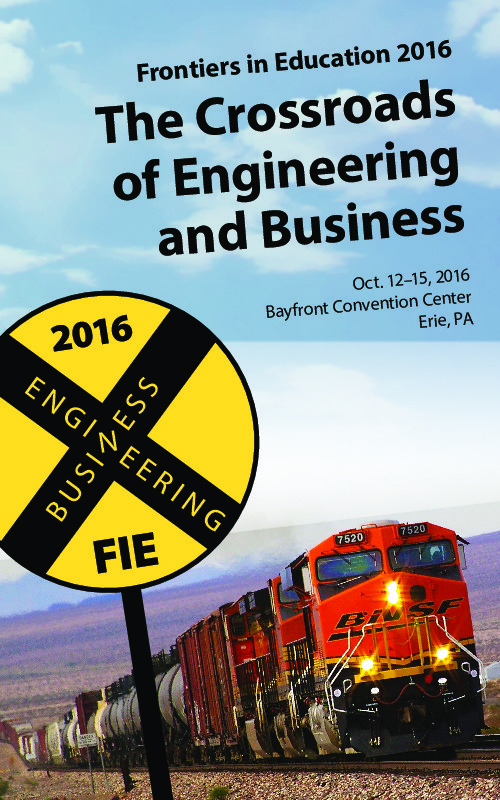 FIE 2016 continues a long tradition of disseminating results in these areas. It is an ideal forum for sharing ideas, learning about developments and interacting with colleagues in these fields. Welcome to FIE 2016. This year's theme will be 'The Crossroads of Engineering and Business.' Submit your work today in order to contribute to the FIE 2016 program and have your paper published.